Effective parenting discipline is essential to raising happy children. The right approach to discipline can make your child feel safe and secure—and allow you to enjoy your children rather than battling with them. This positive result can be achieved with positive discipline methods, even when it seems your child is out of control. One key to building positive parent-child relationships is intention: intentionally interacting with your child each day. How? By being fully in the moment, focusing on your child and relating in ways that communicate love and caring, no matter what your mood. Our guide will show you some simple rituals you can implement right away... and which will help you do just that. Happy children know they're surrounded by healthy boundaries that allow them room to flourish but prevent conflict and harm. Without these, children are always testing, unsure of their environment and insecure as a result. Creating and communicating these boundaries is one of the keys of effective parenting discipline. Our guide will show you how. To feel understood and accepted is a precious thing, and yet it doesn't receive nearly the amount of press in parenting circles that love or rules do. Understanding and acceptance is not only an incalculable gift you can give your children, but one that will help you determine how to best relate to them. 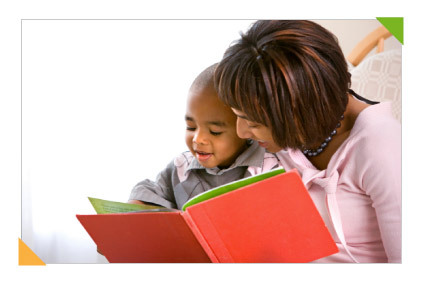 Just as you have a natural parenting style, your child has a natural learning style and a natural way of being. Find out more in our guide! Parents across the country have been enjoying the fruits of a new approach to discipline: positive discipline methods built on the principles of Conscious Discipline®. Built	on	the	latest in brain research and work in early childhood development, Conscious Discipline works in even the most challenging of situations. Our guide will show you ways to implement some of its key tenets. Our Effective Parenting Discipline guide is free; simply request it below and look for it in your email box! Written by Kim Hughes, a Conscious Discipline® Certified Instructor (CDCI) and parent coach, our guide includes a printable list of techniques you can use right away in your own family environment. "Our family met Kim when she taught our son. At a young age, he had already shown many challenging behaviors in the classroom environment. With Kim, he felt supported, safe and understood. As he is now entering middle school, we attribute much of his success in the classroom and our success as parents to the training, skill development and acceptance we discovered in that magical year." "We are a forever changed family due to our preschool experience with Kim! It allowed us to protect the fragile self-esteem of our child with special needs, while helping him adhere to boundaries, learn self-advocacy skills and empathize with others." "I will never, ever be able to accurately express how much Kim Hughes has touched me and my family."